Just a few short weeks ago, you felt like you had this whole newborn sleep thing under control. Your baby would sleep long stretches during the night, and have big, restful, naps (in the stroller, your arms, the vibrating chair – you name it, he’d sleep there!) during the day. Then, without warning, something changed. Those blissful two-hour naps started looking a lot more like 45-minutes, and those one-or-two night wakes turned into four-or-five. It is very likely that your baby has entered the (insert dark-and-stormy music here) … four-month sleep regression. So, what does that really mean, and what is the best way to manage it? 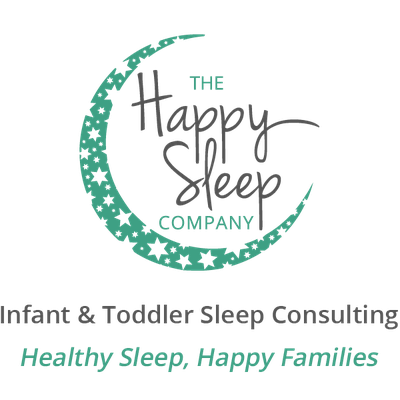 Babies and toddlers may go through various sleep regressions, which are generally thought to occur around months 4, 8, 12, 18, and 24. I emphasize “may” and “various” because some babies might never see a sleep regression, while others may have a difficult transition through one stage but then not experience even a small blip in their sleep habits at the next common “regression” month. There is, however, one big exception to all of the above. The exception is the four-month sleep regression. 1. Every baby goes through the four-month sleep regression. 2. The changes during this regression, unlike during other regressions, are permanent. While regressions at other stages are generally about a particular milestone (e.g. developmental milestones such as crawling at 8 months, and language acquisition at 11-12 months; and toddler independence – also known as tantrums! - at 18 months), and should pass in a matter of one-to-two weeks, the four-month sleep regression comes as your child exits one whole phase of life (being a newborn! 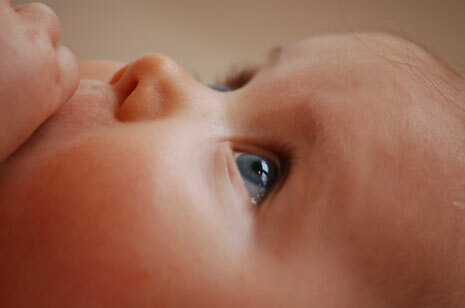 ), and progresses into being (and sleeping like) and older infant. Try to think about the four-month “regression” more like a step forward than a step back. Your 16-week old infant is much more alert and easily-stimulated than your 6-week old newborn was, and that fact is not going to change. Your child’s sleep patterns are now more like those of an adult, going through many deep and light stages of sleep. If your baby has not developed any sleep associations in the first few months of life, you may not experience a big challenge with sleep at this point, because – although your infant’s sleep patterns have changed – he is able to put himself to sleep, he is able to stay asleep through those light stages of rest, and he is able to put himself back to sleep if he wakes. However, for the majority of babies (and parents! ), the four-month sleep regression is a tough one because little ones have often developed some strong sleep associations (like being rocked and fed to sleep) in the newborn stage, and are now relying on those sleep “props” much more often during these new, frequent, light stages of sleep. 1. Create a peaceful and sleep-conducive room environment: Use blackout blinds covered by blackout curtains to darken the room, and avoid bright, flashing lights on things like toy aquariums and light projectors. If your house is noisy, consider a sound machine on a “white noise” or “fan” setting, running continuously as your child sleeps (not on a timer). 2. Naps are crucial: Ensure your child is getting adequate daytime sleep – at this age, your child should be having less than two hours of wakeful time between naps, and about four naps per day. The better-rested your baby is during the day, the better he is likely to sleep at night. 4. Put your little one down awake: Not drowsy. Not asleep. Awake. In order for your baby to learn to put herself back to sleep when she rustles and wakes at night (just like we do! ), she first needs to know how to go from awake to asleep with her own healthy sleep habits at bedtime. Putting your child down already very drowsy or asleep will cause her to wake during the night unaware of her surroundings or how to get herself back to sleep. But, putting her down awake and allowing her the chance to fall asleep on her own will help her begin to go back to sleep on her own when she wakes. There are many strategies for helping your child learn to go to sleep independently, and the important thing is that you choose the one that best-suits your baby, your family situation, and your parenting style.